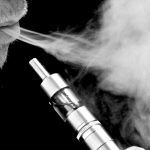 HOW DOES AN ELECTRONIC CIGARETTE OR VAPORIZER WORK? Vaporizers are becoming more popular and there is much interest in them by the public. Even if you have seen one operated or you have tried one, you still may not understand how they actually work. Therefore, with that in mind, this article will attempt to explain the basics of how a vaporizer works and discuss some of their benefits. There are many different varieties of vaporizers on the market. They are available in various price ranges and quality comes with a higher price tag. Every vaporizer out there will vaporize your liquid, though some methods are superior to others. Some are more compact while still others are just engineered for better quality. Let’s look at some of the styles of vaporizer units that are available. Vaporizers can produce a vapor continuously into the air filling a room with a particular scent or aroma or they can be more “personal” and be individually inhaled. Direct inhaling is just as it sounds. Once your e-cig/personal vaporizer has atomized your e-liquid, you will inhale the vapor. 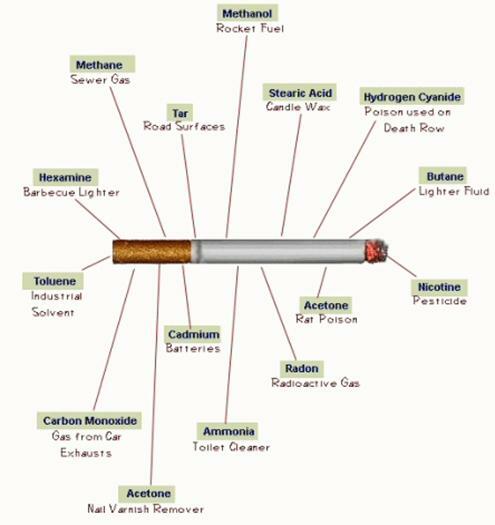 This is the same as smoking or inhaling a cigarette only without all the harmful matter associated with smoke. You can inhale as much or as little as you wish. The vapor is clean and tastes surprisingly fresh. Vaporizer newbie’s or experienced aficionados will find the vaporizer that suits their own needs. There is truly a vaporizer for everyone. E-cigarettes are very easy to use. The cartomizer screws onto the battery and you’re ready to go! If you choose an “Automatic” battery, you can simply inhale on the e-cigarette to produce vapor, while the “Manual” battery has a button that you push and hold to produce vapor. The LED light on the tip of the battery will flash when it’s time to recharge and the delicious flavor will fade when it’s time to replace your cartomizer. We recommend taking slightly longer puffs than you would with a cigarette and stop using it when your craving is satisfied. Propylene Glycol (PG) – The FDA considers this safe. It is used in baked goods, medicines, cosmetics, soap, etc. Vegetable Glycerin (VG) – Also used in baked goods, sweeteners, and a filler in foods. Nicotine – You know what this is. Flavoring – Artificial flavors like what would be in your can of soda, lollipop, etc. Purely Vapor uses organic and/or natural flavorings in most of our E-Liquid. You want to avoid as many chemicals as possible! 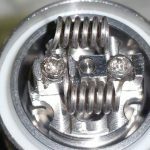 HOW LONG SHOULD E-LIQUID LAST? The lifespan of your bottle will vary greatly. The average lifespan of a bottle of eLiquid, based on a former “pack per day” smoker is based on a 1mL = 1 pack ratio. Essentially, the number of milliliters (mL) in a bottle is equivalent to the number of days that the bottle should last (ex. 15mL=15 days). If you’re a former heavy smoker of more than a single pack per day, simply divide your old habit by the milliliters in a bottle (ex. 1.5 packs per day/15mL=10 days). Simply put…the more you vape, the more juice you will go through! If you refrigerate your juice certain flavors can crystallize and that’s never good for a tasty vape. The other problem with refrigeration is the fact that water condenses and there is concern that in the air space left in a bottle. If that happens, the bacterium (which is found in all the air on earth – the bottle was not filled in a vacuum) could grow and ruin your juice. I have heard stories of people losing hundreds of dollars in juice by refrigerating it. If you want to store your liquid long term then the best bet is to freeze it. Even though PG does not freeze the bacterial activity is non-existent in your freezer at those temperatures. No one knows how long the shelf life for frozen ejuice, but your best bet is to put it in glass and triple bag it in the freezer if you decide to go this route. The best option is to store it in a cool, dry, dark place. Juice is good for about a year from the date on the bottle. The liquid and vapor produced contain no carcinogens, particulates, or dangerous chemicals, and all ingredients in the liquid have been approved for food use and have been used for decades. Nicotine is still addictive, but many still consider e-cigarettes a much safer alternative to smoking. Long-term research is still needed to provide a definitive answer to this question. Additionally, e-cigarettes have no embers or ashes. So there is no way you can start a fire with them, unlike with cigarettes. There is also no danger of secondhand smoke as the vapor dissipates quickly and only the faint smell of the flavor can briefly be detected. CAN I SAVE MONEY BY SWITCHING? Absolutely! The average cost of a pack of cigarettes in the United States is $6.00, and that price is only going to rise. Starter Kits cost as little as $29.99 and liquid will cost approximately $5 per week. At these rates, a month of smoking cigarettes would cost you $180 whereas an equivalent e-cig would cost just $50. That’s over 70% in savings — in the first month alone! 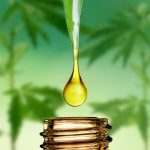 The cost the following month falls to $20-$25 depending on your level of e-liquid use. That’s a dramatic savings over smoking cigarettes. HOW DO PEOPLE USE E-CIGARETTES TO QUIT SMOKING? In a recent study, about 80% of smokers were able to completely replace cigarettes with electronic cigarettes in under 6 months. The majority of our customers have successfully quit smoking using electronic cigarettes. The most successful method we’ve found is to start using an e-cigarette whenever you crave a tobacco cigarette. After 1-2 weeks, you should notice your senses of taste and smell coming back, and you should be able to completely stop smoking cigarettes. 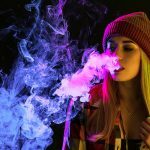 WHICH TYPE OF VAPORIZER IS BEST FOR ME? Didn’t have a high enough nicotine level and thus craved more. They thought the e-cig wasn’t going to be able to satisfy them and went back to smoking. E-cigs will work every time if you get the correct amount of nicotine…you just have to play with it a bit. Didn’t get a good juice. Many juices are created with chemicals…mostly from China. These juices can be rough on the throat or taste harsh. More importantly, they may be harmful to your health. Purely Vapor uses organic and natural ingredients made right here in the United States. Bought inferior equipment. The clearomizer stops working or the battery dies at a bad time. If you purchase quality products from a reputable shop, you will always have a top notch experience. No more spending $6-$10 a day for cigarettes. The savings are astronomical!! Most people gain over 10 pounds when they quit smoking because they substitute the hand-to-mouth motion of the cigarette with food. Instead of food, now you use a fat-free, calorie-free e-cig! No cold-turkey “grumpiness” from a lack of nicotine. 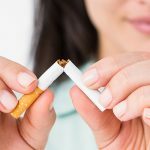 You control your nicotine intake. The idea is to wean down your need for nicotine at your own pace. Hundreds of AWESOME flavors to choose from that taste good and smell good…you won’t want to smoke! 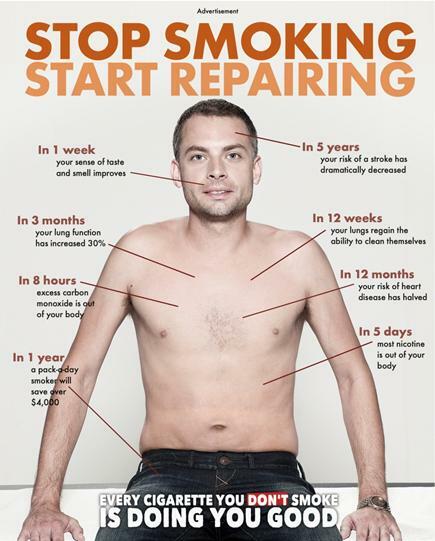 Eliminate the future risk of smoking related diseases. Eliminate the raspy coughing and wheezing throughout the day. No more yellowish skin, nails and teeth. No more complaints from friends & loved ones. No more breathing heavy when you climb a flight of stairs. With e-cigs you really can say goodbye to your smoking addiction…FOREVER! The one-piece disposable e-cig is just that, disposable. These types of e-cigs are very basic. They are not customizable and the vaping enjoyment is minimal. There is no assembly and is not rechargeable. It is equivalent to a pack-and-a-half of traditional cigarettes and is good for approximately 400 puffs. It is classified as “automatic” because you don’t have to push any buttons to activate it. You just puff it like a real cigarette. A two-part e-cig, often times referred to as “Vape Pen”, consists of a lithium-ion battery and a cartridge with a built-in atomizer that also contains the e-liquid. They are usually heavier and larger than automatic models, with a larger battery capacity ranging from 350 to 1100 mAh. This e-cig type offers a more customizable experience. It allows you to mix e-liquid flavors, nicotine strengths and PG-VG ratio yourself until you find just what you are looking for. 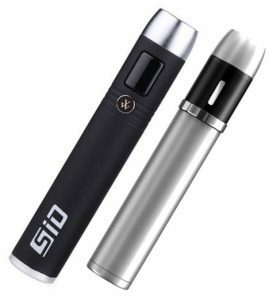 The two-part e-cigs that are most widely used are eGo style batteries with CE4 clearomizers. 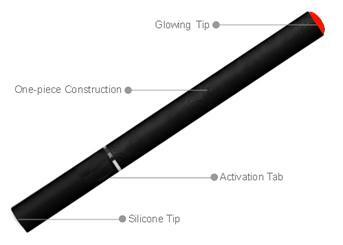 This type of e-cig is classified as manual because you must manually press the LED button and hold it while you inhale. This allows you more control over your vaping. Battery: The largest part of the e-cig is the battery, at the end of which is often located the LED indicator which lights when the puffer inhales. Atomizer: Located between the battery and the inhaler, the atomizer diffuses the nicotine liquid from a cartridge into a vapor mist that can be inhaled. Inhaler: All e-cig’s come with an inhaler piece through which the liquid is atomized and heated vapor passes to the puffer’s lips. This piece is also traditionally where the nicotine liquid is contained. In a 3-part electronic cigarette the atomizer is a separate part that requires regular maintenance. If you are going to switch flavors, you should carry a spare atomizer with you because the nicotine solution permeates the atomizer, leaving an aftertaste from the previous flavor. The atomizers in a 3-part electronic cigarette have a tendency to clog up, which reduces vapor volume and decreases the nicotine intake. Ordering extra parts and having spare atomizers on hand can be both a hassle and an inconvenience. The last type of e-cig is the APV or Mod. It has appeared only recently and comes in a variety of shapes and sizes. It comes in many forms from screwdriver to little boxlike gizmos. This type of e-cig is rapidly gaining popularity amongst avid users often referred to as “hobbyists”. It has stronger batteries, variable features and settings and all the bells and whistles that one can imagine. With the vast amount of APV’s that have bombarded the market lately, choosing the best one can become frustrating.